EUWIB relies on generous financial support of our sponsors who have established themselves as professional and highly dedicated to the success of women in business! Find out more about each sponsor and their upcoming events on this page! With a presence in Europe, the Middle East and Africa for more than 90 years and offices in 21 countries, we combine local knowledge and global expertise to offer products and services to Global Corporate and Investment Banking, and Global Markets clients. We know that being a diverse and inclusive company makes us stronger. It’s through our diversity that we bring our clients across the world different perspectives and experiences, helping us better serve their unique needs. We’re focused on having an inclusive workplace where all employees can be themselves, achieve personal success and contribute to the responsible growth of our company. We are guided by a common purpose to help make financial lives better through the power of every connection. We deliver on this through a strategy of responsible growth and a focus on environmental, social and governance (ESG) leadership. Through our ESG efforts, we are driving growth—investing in the success of our employees, helping to create jobs, develop communities, foster economic mobility and address some of society’s biggest challenges—while managing risk and providing a return to our stakeholders. Check our for more information on their website. 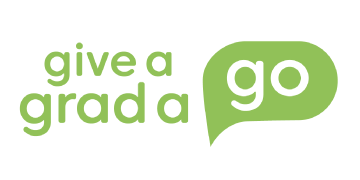 Give A Grad A Go is the UK’s leading graduate recruitment agency, pairing graduates with a graduate job they’ll love, in a company that’s going places. Our core aim is to support graduates as they enter the world of work and to help them secure that graduate job they have worked so hard for throughout their studies. We’ve been hard at work for the last 7 years, getting to know some of the most exciting, niche and innovative companies all over London and the UK. Since 2009, we have launched over 2000 graduate careers, placing our candidates into businesses ranging from London’s hottest start-ups to globally renowned brands, across a wide range of sectors. So whether you are looking for your dream job or just general careers advice - check out our Graduate Jobs or feel free to contact the Give A Grad A Go team of graduate recruitment experts at euwibcareers@giveagradago.com. Accenture develops and implements technology solutions to improve their clients’ productivity and efficiency. They enable their clients to become high-performance businesses and governments. Are you ready to bring the new to your career? You'll work alongside our clients - including 80% of the Fortune 500, and governments around the globe - and harness groundbreaking new technologies as you improve the way the world works and lives. You'll be part of an inclusive and diverse team, and you'll receive the training you need to help keep us - and you - greater than. Find out more information about opportunities to join Accenture here. ‘We think and work globally’ - Freshfields are a global firm, with 28 offices and 5,000 workers worldwide. With a ‘one firm ‘ mindset across regions and sectors, knowledge and experience are shared across borders and legal systems. ‘We add value in everything we do’ - Clients’ challenges are Freshfields’ challenges and their goals are aided, no matter how ambitious or how many obstacles are present. Freshfields have the creativity to find innovative solutions to difficult challenges and achieve their client's aims. ‘Our people make our firm’ - Freshfields invests greatly in its workforce and strives for excellence and commitment. Freshfields see diversity as strength and value the fresh perspectives, creative ideas and connections that flow from bringing together people with different backgrounds. Freshfields offers both graduate training contracts and vacation schemes for penultimate year students. Its unique eight seat training contract allows graduates to work with specialist teams and broaden their experience. Freshfields also offer mentorship throughout the two-year training period and opportunities for international secondments.